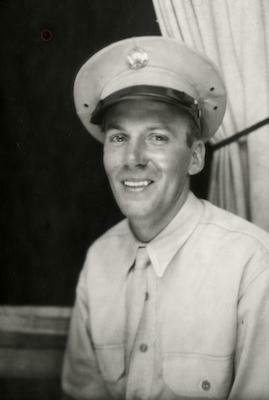 Photograph of Serviceman in WWII from Box Elder County. H. Henry Knudson. Man in uniform poses for portrait. Name written on back.